CLICK BELOW TO HEAR KENNY WARDELL ANSWER THE QUESTION: HOW DID YOU COME TO WORK AT THE KAMEL? CLICK BELOW TO HEAR KENNY WARDELL ANSWER THE QUESTION: HOW DID THE DECISION TO CHOOSE THE CALL LETTERS HAPPEN? 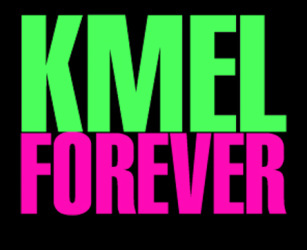 CLICK BELOW TO HEAR KENNY WARDELL ANSWER THE QUESTION: WHAT SET THE KAMEL APART FROM IT'S COMPETITION? CLICK BELOW TO HEAR KENNY WARDELL ON THE JEFFERSON STARSHIP "SURPRISE" CONCERT IN GOLDEN GATE PARK. 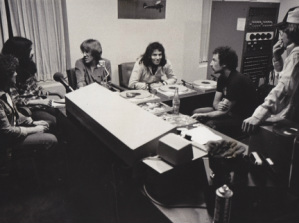 BELOW: PHOTOS OF THE RECORDING SESSION WHERE KENNY WARDELL AND THE JEFFERSON STARSHIP DISCUSSED PERFORNING AT THE FRISBEE FESTIVAL IN GOLDEN GATE PARK. CLICK BELOW TO HEAR KENNY WARDELL ON THE KAMEL SUMMER SURF CLASSIC PROMOTION. CLICK BELOW TO HEAR KENNY WARDELL ON THE KAMEL ENTERTAINMENT GUIDE. CLICK BELOW TO HEAR KENNY WARDELL ANSWER THE QUESTION: WHAT CAN YOU ATTRIBUTE THE SUCCESS OF THE KAMEL TO? CLICK BELOW TO HEAR KENNY WARDELL ANSWER THE QUESTION: WHY DO YOU THINK THE FORMAT FLIPPED IN 1984? CLICK BELOW TO HEAR KENNY WARDELL ANSWER THE QUESTION: HOW DID THE FORMAT FLIP EFFECT YOU? CLICK BELOW TO HEAR KENNY WARDELL ANSWER THE QUESTION: WHAT WAS IT LIKE FOR YOU BEING THERE THE DAY THE FORMAT FLIPPED? CLICK BELOW TO HEAR KENNY WARDELL ANSWER THE QUESTION: WHAT WAS IT LIKE BEING ON THE AIR AT THE KAMEL? 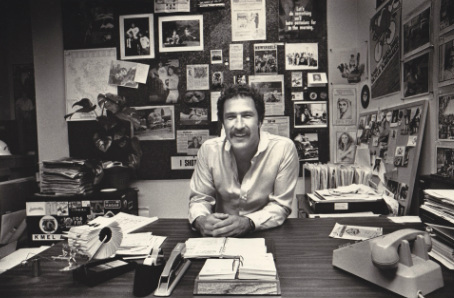 CLICK BELOW TO HEAR KENNY WARDELL ANSWER THE QUESTION: WHAT WOULD A PERSON HEAR WHEN THEY TURNED ON THE KAMEL WHEN IT WAS AT IT'S HIGHEST POINT OF SUCCESS AS A ROCK STATION? CLICK BELOW TO HEAR KENNY WARDELL ON HOW TOM O'HARE LOST HIS JOB AS PD.